I was born and spent my first ten years in Pomerania, which at that time was the eastern part of Germany. After the Russian invasion and the eviction of millions of people from East Prussia, Silesia and Pomerania we were part of the endless trek next to the Russian army on their way to Berlin. Lots of people died on the way; starvation and disease were constant companions. We slept under the stars and then diphtheria hit me. I was lucky that a Russian doctor injected me with the last of his serums but I had to keep on walking with my family since there was no bed in the makeshift hospital in an old school where we had found him. The ordeal is a story in itself and I wrote about it in my book “We Don’t Talk About That”. After several weeks we arrived at an aunt’s house at the Baltic Sea. Here we spent the next couple of years. My father, who had been taken to Siberia with everyone from 16 – 60 in 1945 returned as the only survivor of our village. Eventually Germany was divided into four parts: The Russian Zone where we lived, the English, the American and the French Zone. Even the city of Berlin was divided between the victors. The communists in our part established some kind of political order, school started again and even some shops popped up. Slowly a kind of normal life was established. When West Germany became a State the eastern powers did not like it and in answer to it established the DDR. Everything was linked to the communist party, without being a member you had little chance of securing a good job or education. My hobby was kayak racing and I became very good at it. Because of it I trained as a Physical Education Teacher, and in October 1955 I escaped to the golden West which actually wasn’t too ‘golden’ after all. A few years later the Berlin Wall was built to “keep the citizens in” and all of East Germany became a large prison. My parents never made it out. My education was not recognized in West Germany and I had to start all over again. Luckily I was hired by a health organisation and my previous training became the basis for a new career. 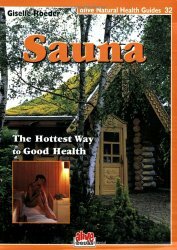 Within several years I obtained a diploma for esthetics, graduated as a hydrotherapist, took more courses and got a diploma as a podiatrist and a medical sauna therapist. I never stopped learning. I really got into nutrition at a time when people said “she is crazy.” I was one of the pioneers promoting a ‘healthy lifestyle’ in the mid-seventies. However, in West Germany we East Germany escapees were considered second class citizens and after about ten years of it I just had one wish: To emigrate to the USA or Canada, I finally wanted to be truly “free”. I am working on a sequel covering the next fifty years in Canada, a life on a roller coaster. However this book is on the back burner for a bit because I am trying to get a short story book ready for release. Some of my short stories have been written over the last twenty or thirty years, but were never published. Some are incredible, telling about unusual experiences in my own or in the lives of people I met. A number of them are on my website. The reactions I got there made me realize that I have to put them together in a book, a book for readers from eight to eighty and older. Most of these stories make you wonder, chuckle or exclaim: “Unbelievable! Incredible!” But life is like that. Writing essays in school was fun for me while the other kids hated it. Later during my kayaking career I wrote the reports for the newspapers. Still later I wrote a regular column about healthy living, lifestyle and nutrition for a German Newspaper in Canada as well as for several magazines. 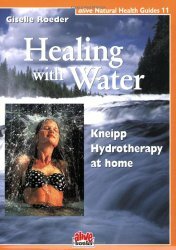 A have written several health books including a skin care manual which is out of print but two other books, “Healing with Water” and “Sauna, The Hottest Way To Good Health” are still available worldwide. The rights for “Healing with Water” have been picked up by India, Italy and Poland. I would love to see these versions of my book but so far I haven’t been lucky enough to find them. My first one, just a skin care manual, was needed. There was nothing to help my clients to look after themselves the way I promoted my ideas, – so the manual was done because of a need. For the two other health books I mentioned earlier I had a contract with a health book publisher and I wrote them for their “Health Guides” series. That was in 1999 and 2001. I would say, yes, I do. I try to be very down to earth, very much common sense, easy to understand, almost as if I’m talking. Readers have told me “You write in such a way that I feel I am right there with you, every step of the way.” For me, it is confirmation enough that I am doing all right since the most important people, my readers, love it. The titles for the health books were easy. The memoir was a different kettle of fish. I had a different working title and even the cover page was laid out. Then I realized I received a common answer when I posed questions to older German women regarding experiences during the Russian invasion. One day I just came home and announced: “I have a new title. It’s perfect: ‘We Don’t Talk About That’.” It was the answer given by every single person I had asked and now many readers have reported their parents or grandparents gave them the very same answer. Actually I must have opened a “can of worms” because now people freely tell me about their own experiences or about those of their parents. I could write another book containing all their stories. Yes, definitely. The message is “look, war is horrible. Educate yourself, your children; don’t put your head into the sand. Don’t switch the TV off when they report war atrocities. Be in the know, be prepared, there are so many fires smoldering and it just takes one spark to set the world on fire again.” I for one shake in my boots when I hear someone talk about WWIII. This was my own life. I was old enough for these events to be etched on my mind and my experiences have always been with me. A speech on Remembrance Day four years ago started the request for a book. Finally I was convinced that I did have to write it. No, I didn’t have a mentor, but I have always been interested in novels based on history. It makes for interesting reading. At different stages of my life different writers were favorites. It went from the Bronte Sisters to Jane Austen, to Hemingway and to Ken Follett during the last few years. I was writing my memoir already when I read the first two books of Follett’s trilogy, i.e. “The Fall of the Giants” dealing with WWI and “Winter of the World” dealing with WWII. I can point out that his research of the real power players of those years is impeccable. He writes based on research, I lived through it and write from experience. I have just finished “The Night I danced with Rommel” by UK writer E. Marrion and started reading “The Masters Tale” the life of the captain of the ill-fated Titanic, written by A.V. Roberts, also a UK writer. I love her style and her command of the English language is like poetry to me. After all, I am writing in my second language so naturally I admire the original! 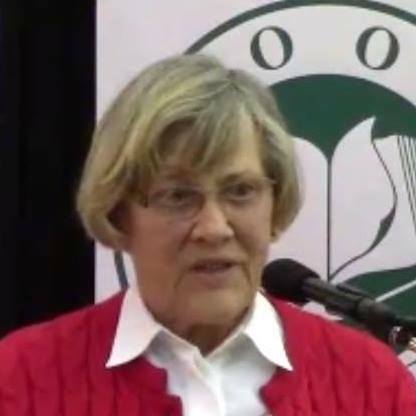 They may not be “new” authors but there are several very talented authors with fairly recent publications: I finished Lyn Alexander’s Schellendorf Series with four books, an exceptional read spanning the time from before WWI to the Nuremberg Trials after WWII. I couldn’t put down the UK writer Victoria Ann Robert’s book ‘Louisa Elliott’, – the one that sold more than a million copies when it first came out years ago and was a bestseller in the USA. It has now been republished. The twin to that book is ‘Liam’s Story’, a compelling, and at times disturbing, read. “A Woman in Berlin” by Anonymous, “The Nazi Officer’s Wife” by Edith H Beer; “The Night I danced with Rommel” by Elisabeth Marrion. All are connected to WWII. I am fascinated by the time, it has so many layers and more serious history writers than I am are just as fascinated or even obsessed by it. As mentioned before. 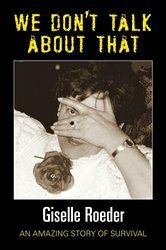 My most serious project is the sequel to my memoir “We Don’t Talk About That” and a bit of fun right now is the collection of my short stories. Actually they should go into the sequel since all of them touched or influenced my life but if I do that the book would have far too many pages! When I was a young teenager the Red Cross was instrumental in the survival of my family as well as my own survival. During the kayak racing years, it was the sports club. Later in life it was a small group of friends. Right now it is my life partner Trevor. Without him the memoir and these new books I am working on would probably never have seen or would see the light of day. Sorry I couldn’t just name one entity. Times and support change during a long lifetime. Not really. At my age I am not thinking of a career anymore. But it has become a passion. Yes, – because I remember even more now. It’s a funny thing with your brain. You think you had it all safely stashed away when it hurt too much to remember. Then you get inspired, start writing and it all comes rushing back. Just like a river squeezing through a narrows. Then you start dreaming of it and more comes flooding into you conscious mind. Since I was restricted to 95.000 words it would be hard to decide what comes out and what goes into a re-write. So I think it would be wiser to leave it as is. No, wait – I definitely would change the ending. Why? People complain it is too abrupt. I left them ‘hanging’ and guessing. So, yes, I would change that. Yes, with Fairy Tales. I devoured them as a child and later I even collected Fairy Tale books. We met Ed and Lucy on a Panama Cruise. We shared a dining table with another couple. It’s funny but I cannot even remember their names or faces. They never stayed after dinner, they came and went and seemed to be busy, busy, busy. When they were there we did not talk very much. Ed and Lucy were elderly darlings. It was incredible to see how tenderly Ed helped Lucy, pulled out her chair, put a scarf around her shoulders, held her elbow when walking in and out of the dining room and always had his warm, shining eyes on her. A historian was telling the story of the building of the Panama Canal over a loudspeaker while we sailed through it and everybody crowded around the railing at the bow. People were jostling to take photographs and pushing their way through masses of people. I remember that I needed to go to the restroom but didn’t dare to leave and lose my spot. We stood out there for hours while the voice over the speaker was droning on. Ed had found a place in a corner with a kind of exhaust funnel that was big enough for Lucy to sit on. He had to lift her up there like a child and then was standing behind with his arms around her, to keep her safe. Lucy was glowing, was smiling at everyone and especially at Ed. Whenever we met them on land during stops and outings they always held hands or he had his arm around her waist. He would buy her a single rose which she would pin on her dress or jacket when coming to dinner. Back to Ed and Lucy. Once dinner was ordered they would hold hands under the table, sometimes even on top of the table until the other couple arrived. I noticed that their legs under the table always touched each other. After a few days and feeling more comfortable with them I mentioned my admiration for the display of their apparent love. They looked at each other, she nodded and Ed told us their story. I want to be good. I know I can’t compete with English writers but I make up for it with my imagination and content. And often I think my fingers are not fast enough for the incoming thoughts. I don’t have a definitive favorite. But I must say that both, Ann Victoria Roberts and Lyn Alexander impress me with their absolutely impeccable research they must have done for their historic fiction novels. Marketing and book promotion is expensive since the cost for airline tickets is going up steadily. I seem to favor the cities where I have lived and people still remember me from business or my TV show which ran for over nine years and then definitely the cities in my area where I can travel by car. The health book covers were designed by the publisher. The cover for my memoir was my own idea. Getting over the nightmares it caused and reliving the horrific time in my young life. I learned that it is not “healing” to get it all off your chest. In some ways it is much closer now again but I also learned that it feels good to pass it on to people who have absolutely no idea what it is like to live in a war zone. So many have said “thank you for writing it, I did not know…” So those comments show me that it is worthwhile. Yes, often people ask: How do you get started? – Just sit down and write. Don’t think about content, commas or grammar, just write! Don’t re-read every paragraph. Write until you have filled many pages and write some more. Set your mind free, let it flow. When you have writers block stop for a few weeks until the passion takes over again. Write – write – write. I know that many of you have read my book twice because you couldn’t wait and tried to get through it too fast. So take your time. Read it. Even if a certain chapter might not be to your liking, read it anyway. In the long run it will all make sense and give you an intimate knowledge of the heroine, the girl Gila in the story, her trials and tribulations and before you know it, you feel you know her maybe you even turn into her. Grandma read to me. Fairy Tales by the Brothers Grimm, I couldn’t wait to go to school to learn to read in order to read it all myself. A good joke told in a clever way when you just can’t predict and are surprised by the ending, the punch line. Those are the only kind of jokes that make me laugh. But I laugh with people in happy surroundings. Sad stories make me cry, children with difficulties, cancer, babies having to wear glasses, losing a loved one. I cried six weeks when my best friend, my pet poodle was run over. I would like to meet my mother again. When I escaped East Germany my father advised me not to tell her. She would not be able to lie when she would surely be interrogated by the police. This might be at the bottom of many misunderstandings later. I never had a chance to “clear the air” between us. There literally were oceans between us. For relaxation I watch “The Young and the Restless” and get upset about all the stupid things they do. I wish I would be involved in writing the script. But one thing is good: They include “education” about many diseases like breast or prostate cancer and even mental problems. As TV shows go I like everything historical. Movies? Definitely not those with lots of murders. Here I prefer happy, romantic, family sagas, “Tuscany” comes to mind. One favorite was ‘Anna Karenina’, another “The Thornbirds,” which reminds me of the author Colleen McCullough. She has my greatest respect for her Roman history books i.e. ‘The Grass Crown’, ‘The Last Man of Rome” and others. She has an incredible brain. I met her once at a book fair. In foods it is definitely fruit. If I wouldn’t know I need protein I would live on fruit. In colors I like a certain shade of red. Black and white are elegant, my car is cornflower blue. If I ever had to change it I wouldn’t know what to choose. Music? Definitely classic music. Most favorite is Beethoven and Mozart. Life thought me to do what you have to do. I have worked on a farm, I have cleaned toilets in my husband’s business (I hated it but I did it), I founded a skin care business based on ‘skin care from the inside out’ including a health food store, designed kitchens and redesigned a funeral home, have had my own TV show for many years, was a guest on many radio stations, gave public lectures all over the world, raised a family, developed skin care products and lived on nettles and other weeds when we were starving. I had a consulting business and took groups over to Europe for health cures. I liked all of it (except the toilets…). The variety and richness of it made me a writer. I have a number of social media presences.